Utah’s demand for plastic surgery is one of the highest in the nation. In 2010, Utah ranked 8th in the nation for the number of plastic surgeries per capita. This love affair with cosmetic enhancements leads to deadly complications for Utah patients. The attorneys at G. Eric Nielson and Associates hear horror stories all too often of plastic surgeries gone wrong because they were performed by family practice doctors, dermatologists, and even dentists masquerading as plastic surgeons! How does this happen? Physicians will advertise their ability to perform plastic surgery without ever stating that they are Board Certified in that specialty. They will list that they are members of various “societies” or “academies” that imply they are competent in plastic surgery, even though all that is required to join these groups is payment of a membership fee. People entrust their lives with these doctors without ever realizing the sham. As medical-malpractice attorneys who hear the worst outcomes in medicine, we want to caution the public against obtaining life-threatening surgeries from physicians (or dentists) who are not Board Certified Plastic Surgeons. Why does board certification matter? Doctors who obtain board certifications from the American Board of Medical Specialties (“ABMS”) have proven their competency in their specialty by obtaining additional education and training beyond medical school, and by passing a specialty board examination. Once obtained, Board Certifications are maintained by physicians through attending continuing education courses that ensure that board certified doctors keep up with the latest changes in medicine. Becoming Board Certified in one of the ABMS’s 24 specialties comes with certain privileges. Besides being a member of a nationally recognized and respected organization, many hospitals require ABMS Board Certification in order to obtain staff privileges. Doctors must have staff privileges in order to perform surgery at a hospital. Requiring board certification helps protect hospitals from lawsuits, as it improves the caliber of doctors practicing medicine in their facilities. What’s the difference between being board certified and being a member of another credentialing group? Board Certification is the gold standard of certification used across the country. Being a member of an “Academy” or “Society” may look nice on a website, but it does not indicate that a physician has undergone the rigorous five or six year training required to obtain and maintain a board certification in plastic surgery. What’s the difference between a Board Certified Plastic Surgeon and a Board Certified Cosmetic Surgeon? Complete at least five years of additional training as a resident surgeon in a program accredited by the Accreditation Council for Graduate Medical Education (www.acgme.org) or the Royal College of Physicians and Surgeons of Canada (www.royalcollege.ca). Complete a residency which covers all areas of surgery, including at least 3 years devoted entirely to plastic surgery. Most board certified surgeons actually obtain six years or more of additional training, which is the requirement listed on the ABMS page for plastic surgeons. There is no ABMS Board Certification for Cosmetic Surgery, nor is there a Member Board affiliated with the AMBS for Cosmetic Surgery. There is, however, an American Board of Cosmetic Surgery which requires that its members obtain an AMBS Board Certification as part of the process of obtaining their board certification. The complete requirements for obtaining a ABCS board certification can be found here. Which type of doctor is better—a Board Certified Plastic Surgeon, or an ABCS board certified Cosmetic Surgeon? What is this doctor ABMS Board Certified in? Does it match the procedure I’m having done? For instance, if a doctor is board certified in Family Medicine, he or she does not have the experience to perform plastic surgery. Has this physician ever gotten in trouble with my state licensing agency? In Utah, physicians’ licenses are maintained with the Department of Occupational and Professional Licensing. You can see if your doctor has ever gotten in trouble with DOPL by looking up his or her license here. Does this surgeon have staff privileges at a hospital? Only quality doctors get staff privileges at hospitals, and these privileges are critical for any plastic surgery patient who has surgery performed at a surgeon’s private office. You surgeon needs to be able to take you to a hospital if something goes wrong. If he or she does not have staff privileges, you will have to be admitted to a hospital through the ER! Not having any staff privileges at a hospital near the surgeon’s office is a huge red flag. Who is administering the anesthesia, and where is the procedure being performed? It is legal in Utah to have Nurse Anesthetists administer the anesthesia needed to perform plastic surgery in a surgeon’s private office. This has proven deadly for the clients of G. Eric Nielson and Associates. Anesthesiology is largely regarded as one of the most difficult medical specialties. Yet people entrust nurses who have had far less training than anesthesiologists to sedate them for surgery. Sedation and possible complications during surgery should be addressed by an anesthesiologist. Talk with your physician about how you will be monitored post-op, and what family members should do if you appear overly sedated after surgery. 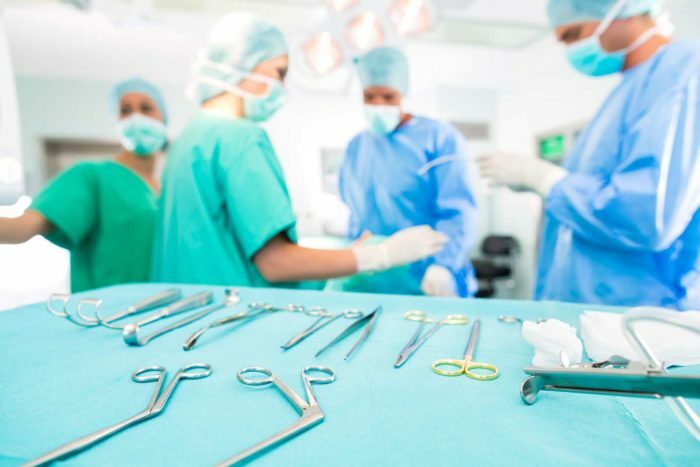 The attorneys of G. Eric Nielson and Associates have learned about these issues the hard way, by representing families who have lost loved ones as a result of negligent cosmetic surgery practices. We want to prevent these tragedies from continuing to occur. Please think carefully about who you entrust your life with before you voluntarily go under the knife for any procedure.